This team doesn’t surrender. 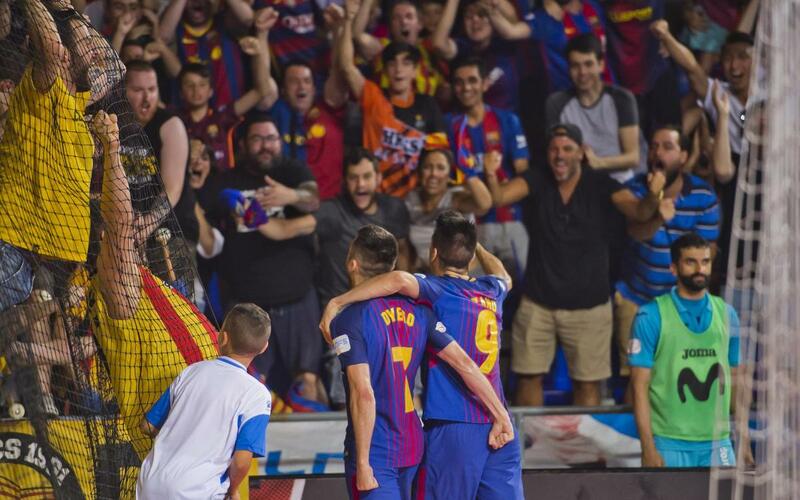 Barça Lassa have forced a fifth and definitive match in Torrejón de Ardoz after beating Movistar Inter 3-1 on penalties. The match ended in a 3-3 draw after the regulatory 40 minutes and the extra six minutes. A goal by Dyego five seconds from the end prevented the Inter victory, after Rafael had edged them ahead moments earlier. It sent the game to extra time, however, the scores remained level, meaning a tense shoot-out. Ortiz's mistake from the spot handed Barça the win in Paco Sedano’s last match at the Palau. Movistar Inter, through Gadeia, took a fourth minute lead, and this was held until right before the break, mainly thanks to the goalkeeping heroics of Herrero. The intensity of the game caused the visitors to make six fouls, but no one from Barça Lassa could take advantage. A minute before half time, Dyego finished off a great assist from Rivillos to equalise (1-1). At the restart, Barça were more inspired and created danger constantly. On 36, Lozano hit an unstoppable shot to send the Blaugrana support wild but a lucky riposte from Gadeia tied the match again (2-2). In the final minute, Rafael looked to have won the game, and the series, for the visitors but Dyego’s goal at the death handed Barça Lassa a lifeline. A win for the hosts in the shoot-out means that there will be a fifth and final deciding match to determine which team will raise the league title in 2017-18.